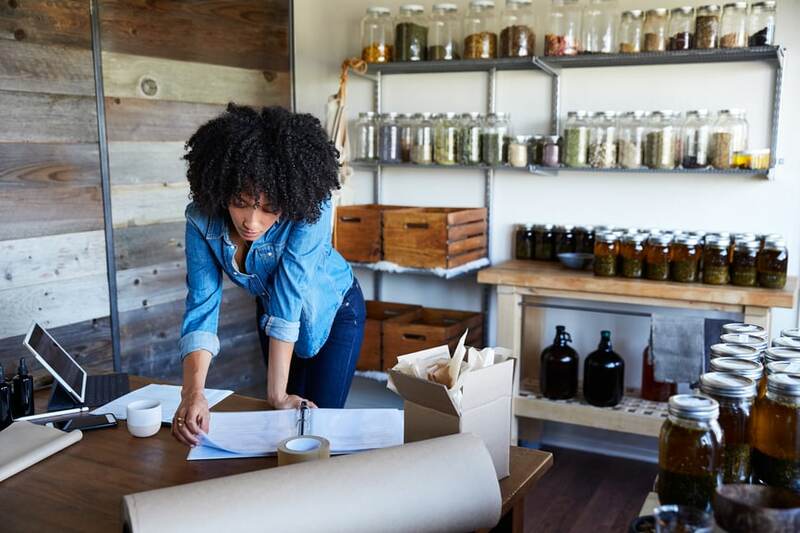 Whether you do contract work or have your own small business, tax deductions for the self-employed can add up to substantial tax savings. With self-employment comes freedom, responsibility, and a lot of expense. While most self-employed people celebrate the first two, they cringe at the latter, especially at tax time. They might not be aware of some of the tax write-offs to which they are entitled. When it comes time to file your returns, don’t hesitate to claim the benefits you get for being the boss. As a self-employed success story, you’ve earned them. "Many times an overlooked deduction is educational expenses. If one is taking courses or buying research material to be more effective in their work, this can be deductible." John L. Hillis, president of Hillis Financial Services in San Jose, California, said the best tax write-off for the self-employed is a retirement plan. A person with no employees can set up an individual 401 (k). "The individual can contribute $18,500 in 2018 as a 401(k) deferral, plus 25 percent of net income,” Hillis said. If you have employees, Hillis recommended a SIMPLE (Savings Incentive Match Plan for Employees) IRA—an IRA-based plan that gives small employers a simplified method to make contributions to their employees’ retirement. As of 2018, an employee may defer up to $12,500, Hillis said, and employees over 50 may contribute an additional $3,000. Accountant and consultant Jéneen R. Perkins, principal of Éclat Enterprises LLC, in Milwaukee, Wisconsin, said most self-employed taxpayers' businesses start as home-based businesses. Those people need to know portions of business costs are deductible, she said, adding, “It is very important that you keep track of expenses relating to your housing costs." If your gross income from your business exceeds your total expenses, then you can deduct all of your expenses related to the business use of your home, Perkins said. If your gross income is less than your total expenses, your deduction will be limited to the difference between your gross income and the sum of all business expenses you would pay if the business was not in your home. Those expenses could include telephone lines, the Internet, and other costs to do business. You must also have a home office that is truly used for work. Hillis said the Internal Revenue Service may require you to document this. If you travel for business, even short distances within your own city, you may deduct the dollar value of business miles traveled on your tax return, Perkins said. The taxpayer may file the actual expense he incurred, or use the standard mileage rate prescribed by the IRS, which is 54.5 cents as of 2018. The IRS allowable mileage rates should be checked every year as they can change. Some self-employed people may purchase property and equipment for a business. If they expect that property to last longer than one year, it should be depreciated on the tax return, Perkins advised. Perkins said that claims regarding property, according to the IRS, must meet the following criteria: You must own the property and it must be used or held to generate income. The property should have an estimated useful life, meaning you should be able to guess how long you can generate income with it. It may not have a useful life of one year or less, and may not be purchased and disposed of in the same year. Certain repairs on property used for business may also be deducted. Any educational expense is potentially tax-deductible. “Many times an overlooked deduction is educational expenses,” Hillis said. “If one is taking courses or buying research material to be more effective in their work, this can be deductible." Think about any books, web courses, local college courses, or other classes or materials that you have purchased to improve your job or business. It’s easy to forget a work-related webinar or business e-book that was purchased online, so remember to save e-receipts. Perkins also mentioned subscriptions to trade or professional publications and donations to business organizations, both of which are frequently necessary for the continuation and growth of your business. Other deductions that can be easily missed are advertising and promotional expenses, banking fees, and air, bus, or train fare. Restaurant meals and other entertainment costs may be written off as long as they are necessary business expenses. In addition, Hillis said to consider health insurance premiums, which in most cases represent a credit rather than a tax deduction. “A credit goes directly against one’s taxes, rather than a reduction of income,” he said. Regardless of which expenses you discover that you may write off, the most important thing is to keep accurate records throughout the year. Save receipts, including e-mail receipts, and file or log them so you have easy access to them at tax time. Not only does keeping receipts, mileage logs, and other expense records make filing taxes easier, but it also facilitates a system that allows you to track changes from year to year. Don't just look at last-minute write-offs when considering self-employment tax deductions. Think about laying down some long-term strategies for money savings from year to year—particularly if you are a high earner. To reduce your gross taxable income, consider setting up a defined-benefit pension plan, Davis said. This plan is based on your age and income: The older you are and the higher your earnings, the more you are allowed to contribute. An alternative plan is an age-weighted profit-sharing plan, which is similar and can benefit those who have several employees. Another strategy for high-earning business owners who own their own building through a limited liability company or similar business structure is to pay themselves rent, said Davis. This rent is used to pay down the mortgage, but it is also considered a business expense for tax purposes. Self-employed professionals required to have liability insurance should consider setting up their own insurance company. A captive insurance company is one that insures the risks of the business—or businesses, in the case of a cooperative. Its premiums can be tax-deductible. But, Davis warned, if money accumulates and claims are minimal, the money taken out is taxable under capital gains. Davis emphasized that this is not a retirement strategy, but that it can save you money by allowing you to “pay yourself” instead of an insurance company and still deduct the premiums. With any of these more complicated, long-term strategies, consult with a business attorney or financial planner to ensure you have the best plan possible for your business. Can Cellphone Expenses Be Tax Deductible With a Business? What is IRS Form 1040-ES: Estimated Tax for Individuals?